Two years later, to the date, I sat down and recorded a second part to Jaysea’s story. A LOT changes, grows, and evolves for teenagers in a year or two and she is no exception. In the last 2 years Jaysea has pioneered extreme expeditions, been in two movies, has been seeking out and surrounding herself with strong females that she refers to as mentors and fearless females and, after being home schooled most of her life, decided to enroll herself in public school for her senior year to, in her words, “feel like a regular teenager”. She decided she wanted to discuss HER stories that only others and the media have presented so far. She has been through so much I just let her jump in and start talking and let her take whichever direction felt most important and natural to her. Jaysea enthusiastically dove into our conversation with extreme excitement and shared the very intimate and empowering details of her latest adventure and conquest. The path, these past 2 years, to this powerful place has not been an easy one and became partially dark at one point. 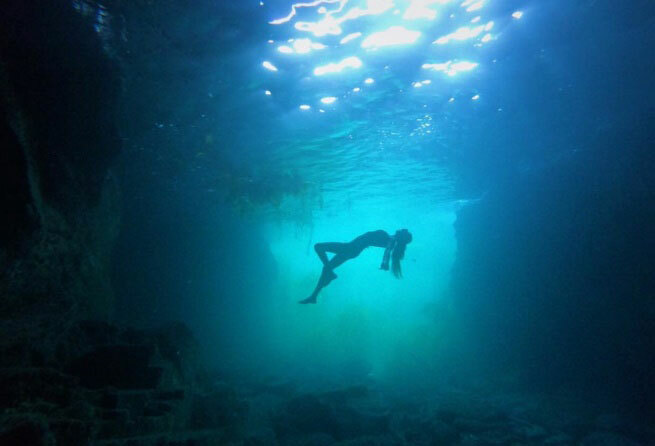 Adventure and nature, the ocean in particular, are her power and healing sources. Listen carefully as she describes the empowering, stoke filled, challenging, spiritual and most recent circumnavigation expedition around Catalina Island. She and her 2 girl power friends successfully paddled 54 miles in 3 days around the perimeter of Catalina. This “vibe Tribe” of 3 women became the first women ever to circumvent the island, purely by paddle power, in 3 days. This story to me was so strong and profound, that when I listened back to it, I was moved to tears! I did not edit anything out because I thought ALL the words and feelings were pertinent. The parallels to navigating through life and use of coping tools and selfcare were the same but flipped into something positive and exciting. Listen carefully or re-listen over again! The innate importance of telling this story first was such a great demonstration of natural selfcare that I could even feel it at a visceral level. With this foundation of confidence, her bubbly excited tone came down to a more neutral one as she decided she wanted to share a very vulnerable story of being assaulted. It was Jaysea, with the blessing of her family, that decided that she wanted to tell this story to hopefully help others. Although every assault incident is unique, it is our hope that you hear something that you can relate to or use as a coping or healing tool. You are not alone! According to The National Center For Victims of Crime, one person is assaulted every 36.9 seconds and every 98 seconds another American is sexually assaulted and 55% of assaults are at or near the person’s home…these are ONLY reported cases. Jaysea stated she does not want this to define her and that she does not consider herself a victim now but a survivor and a warrior! Her recipe for healing has led her to some beautiful and powerful experiences. We hope you use the right recipe with your own ingredients. This is teenage girl describing personal stories and it took courage. Grey Matters Now is in NO WAY a place for judging, blaming or shaming! This will always be a platform for safe sharing. You will find resources for help at the end of these show notes or feel free to reach out to Grey Matters Now for more. Back to the womb in the blue heart center of the earth…Photo by Fisher Devoe. Image and art by Susan Wickstrand and her 12 year old daughter Chloe Grace. Susan : Jaysea Devoe is a “sprout”. Just like my favorite Thomas Cambell Movie- which actually got me interested in collaging women in the first place. We Shot Jaysea in front of her family’s home there- with hands on her hips- which was passed on to our 12 year old daughter, who then drew a halo of sorts around Jaysea’s hat and a water droplet, all in white. I collaged in the stem of a flower for each member of her amazing family: Rick, Julie, Ryder, Fisher, Jaysea, and their 2 dogs. Then I created collaged flowers for her, which represent Jaysea’s strength and amazing personality. If you or someone you know is the victim of assault, you are NOT alone and it is NOT your fault – find a professional that can help you process your trauma and help navigate your healing. Find your unconditional support system, person or community that will hold you up while you heal and strengthen. 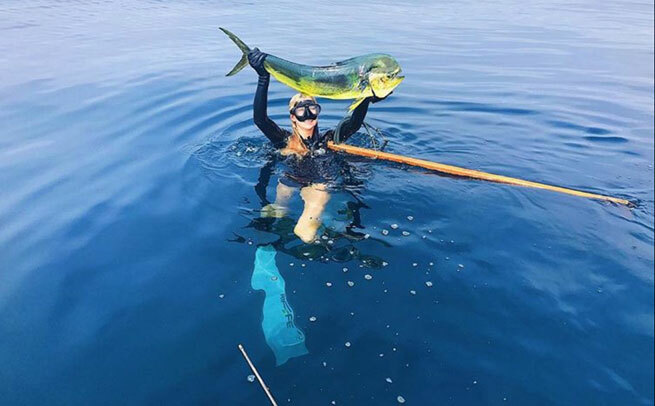 Photo by Fisher Devoe: 1st fish ever speared – her own Dorado for dinner. Two years ago I recorded this Episode with Jaysea Devoe who had just turned 15 years old. Jaysea at 12 years old became the youngest certified yoga instructor, youngest S.U.P. 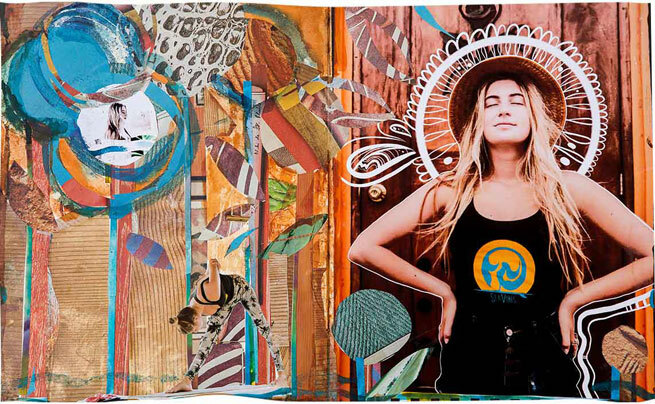 yoga instructor, an entrepreneur, a clothing designer and a business owner. These titles are not what are important to her – they just happened to grow from a strong organic passion that happened to come to her at an early age. The most beautiful and impressive thing about her though, in my opinion, is her old soul mixed with the ability to still see the world through the eyes of a child. Jaysea also holds a special beacon of light, a strong connection to the ocean and tool box full of balancing and coping tools. Her personal mission is to use these tools to maintain balance for herself so that she can share her gifts and tools so that others can find and maintain balance and a healthy, fun and full life. She stated she just wants to spread her love of yoga and being in nature and she would like kids her age to follow their dreams and enjoy the present moment. Being a teen is a challenging balance of school pressures, social pressures, hormonal changes and growing pains. Balance and wellness mean blending in essentials like fun, the right friends, nature, movement, and adventure to teen years and life in general. It is back to school time; we all need to share what is in our tool boxes and Jaysea has some spectacular tools. Gather your children and listen together; you are guaranteed to leave inspired and hopeful about navigating the future and grounded in the present moment!! Stay tuned for part 2 of this episode!!!!! I had a follow up conversation with Jaysea last week 2 years to the date after this conversation. Part 2 is very powerful as getting older, even for her balanced self, comes with rougher terrain. She said, after listening to this episode 1, “Wow it was like I was really talking to my future self! !”.